If you’re like many people, you’re high on inspirational speeches to yourself about getting up early and low on actually following through when the alarm rings the next morning. It can be frustrating to work yourself up to a feverish pitch the night before until you’re sure that you’re finally resolved to get up in the morning this time, only to have those grand illusions fly right out of your head while you’re sleeping. Morning comes and all the glorious rush of intentionality is simply not to be found anywhere, so you roll over, put the pillow over your head, and sleep for another 30 minutes. Yet another workout–missed! 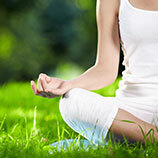 Yet another opportunity to develop the firm, toned, energetic body you want–missed! It’s time to turn things around. Here are some tips from our personal trainer in Southborough that we’ve found to work in our own fight with that crucial morning choice. These aren’t instant fixes: they take work, but they will transform you into a person who can actually accomplish what you set your mind to do–and that has a huge payoff in every area of your life, not just fitness. The mind game is only part of the puzzle, but it’s a decent part. Training yourself in mental toughness can give you the wherewithal to turn down the volume on all the reasons screaming at your brain why you can’t get up now. Here’s one of the best articles we’ve read on how to develop mental toughness. Mental assent is when you know in your mind that you ought to do that certain thing–but you haven’t yet done it. The best way to practice it? Facebook. As soon as that little trigger pops into your head that says, “I should really get off facebook and make dinner/go to bed/work on my project,” DO IT. By practicing the instant compliance with what you know you should do, you’ll find that your “action muscles” are stronger for that moment in the morning, too. Eliminate the classic inflammation-causing foods (e.g. sugar, wheat, dairy, & alcohol) from your diet for a week or two, and see if that makes a difference. No matter how much you want to force yourself to get out of bed, there’s nothing like knowing that there’s another person standing around waiting for you to show up to truly motivate you. A personal trainer is a great option to get this accountability. 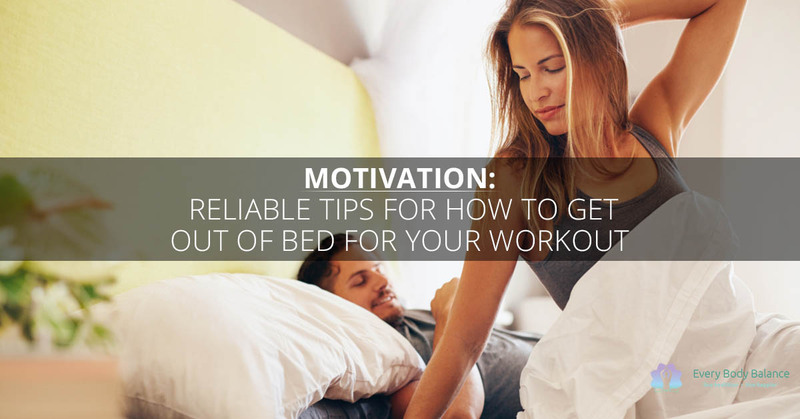 Not only will it motivate you to get up, they’ll also provide key motivation throughout your workout, and you’ll achieve new heights in your fitness goals. Choose Every Body Balance for fitness classes and personal training in Southborough today.